Guess what? It is gardening time! Ok, well in most parts of the country gardening season is well underway. This is when I miss living in Arizona – tomatoes are on the vine, the spinach is coming up and up and up. In Alaska though, we are still in the planning stages. I have reached out to friends and have started a little Alaska Gardening Club. 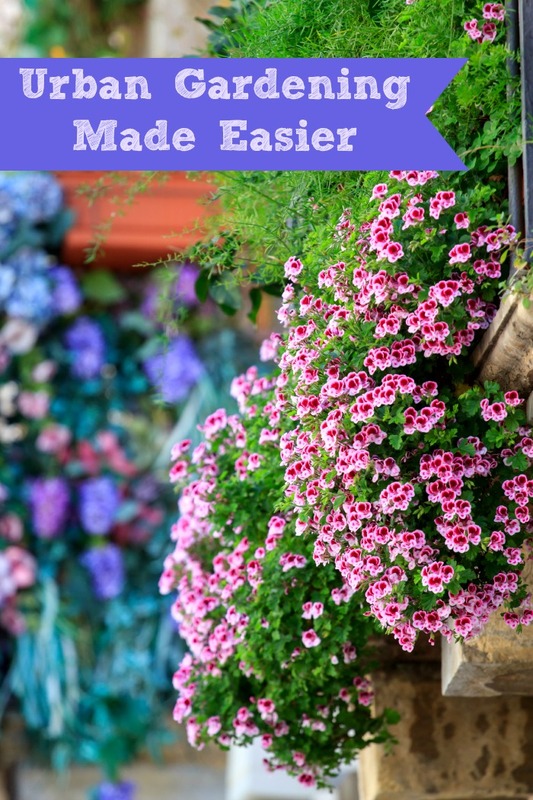 🙂 I’ve pretty much only gardened in urban settings, so I rounded up some ideas for this post – Urban Gardening Made Easier. This Garden View Vertical Planter would fit perfectly on my balcony. It would also work great up against a fence, on deck or as living wall. The Garden View includes integrated slots for customized positioning of the 3 Planters. Create an impactful decorative garden feature to enjoy anytime you look out your window. Elevated Garden Beds are the answer for an instant and manageable garden that can be placed anywhere. Ideal for small patios, decks, condos, apartments, or anywhere you’d like to grow vegetables, herbs, or flowers. The Elevated Garden Bed eliminates bending over while gardening and is perfect for gardeners with mobility and back strain issues. These planters are constructed of 100% Western Red Cedar, are quick and easy to assemble, and are handcrafted in the US. This garden bed is available in finished and unfinished cedar. Worm composting or vermiculture is an incredibly efficient way to convert kitchen scraps, junk mail, and cardboard into nutrient-rich compost for your garden. Master gardeners (I’m proud to be one!) agree that compost produced by worms has the best results and helps your plants thrive. The Worm Factory’s unique stackable, multi-tray design makes it the most efficient worm bin composter around. Worms begin eating waste in the lowest tray, and then migrate upward as food sources in that tray are exhausted. I miss having mine! Turn your boring walls into garden wonderlands with the Poly-Tex Plantscape Log Vertical Garden! Lightweight, durable and easy to maintain, these panels are easily attached to any outdoor wall and can be snapped together to make your vertical garden as tall as you’d like. Each panel contains four potting cells, and two panels come with every order. An internal drip irrigation system is included to ensure each plant gets its share of water for optimal growth. Perfect for urban or narrow backyard areas. Whether you are a beginning grower or avid hydroponics gardener this system is perfect for you. It is simple, smart, space saving, aesthetically pleasing, and cost effective all in one. Just assemble the product, plant, add solution to the water, and plug in. Yep, super easy for urban gardening. Some of you might remember that I was the first person in Arizona to own an AeroGarden. I am a big fan of these hydroponic gardens. It is a hi-tech (which I love) and a high-output indoor garden that delivers big yields and fast, healthy plant growth. The AeroGarden uses advanced hydroponics to grow fresh herbs, salad greens, tomatoes, flowers and more up to ten times faster than plants grown in soil. If you have no outside space to garden in, the AeroGarden is your answer! If you can’t tell by now, I am a big fan of vertical gardening, especially for small urban gardens. You can fit so many plants is such a small footprint. This Vertical Garden Planter comes preassembled and includes a drip line irrigation system, so you can water less and enjoy growing more. Pop some seeds in the soil and have a little fun watching your garden grow. For a quick compost turnaround, look into a Tumbling Composter with Two Chambers. This bin’s efficient dual-chamber design allows for quick curing, turning your kitchen and yard waste into food for your soil. Fill it up, give it a turn every other day with the built-in hand holds, and in a about 2-3 weeks you’ll have nutrient-rich compost for your garden. It is constructed of recycled, UV-inhibited, heat-absorbing black plastic. It is equipped with adjustable air-vents and a rodent-proof design, and adjustable air vents. The Elevated Garden Bed is an awesome Idea. Unique ideas overall. Thanks for Sharing! I’ve never heard of the Aero Garden before. That looks really convenient! I’m definitely checking that out and will probably end up getting one. Such an adorable post. Just love all images posted especially, Mr. Stacky Stacking Hydroponic Pots Tower. Would love to try something similar with this for my garden at home. Thanks for sharing. Awesome article it is. There are many things that is new to me as I’m a beginner in gardening and cultivation. Thanks you very much for your efforts to write and wrap all this information. I’m glad i stumbled upon your site. Gardening is not everyone’s cup of tea, but the benefits it has to offer are making many people give it serious thought. Fortunately, today’s gardeners have a lot more information at their disposal, as this article indicates. Would certainly recommend it to any modern gardener who wants to enjoy their work.